As per clause (b) above, the payment of and benefit from zero coupon bond shall be received or receivable from the issuing company/fund only at the time of maturity or redemption. Consequently, clause (iva) has been inserted in section 2(47) to provide that the maturity or redemption of a zero coupon bond shall be regarded as a transfer. The profits arising on the transfer of such zero coupon bond shall be chargeable under the head "capital gains". Further, if such zero coupon bonds are held for not more than 12 months, such capital asset shall be treated as shortterm capital asset and hence shall be subject to short-term capital gain. On the other hand, where these bonds are held for more than 12 months, such capital gain shall be treated as long-term capital gain. The long-term capital gain on zero coupon bonds shall be chargeable to tax at 10% of long-term capital gain without indexation of cost of such bonds. which the Central Government may, by notification in the Official Gazette, specify in this behalf. then, any profits or gains arising from receipt of such money or other assets shall be chargeable to income-tax under the head "Capital gains". In the above case, the capital gain shall be deemed to be the income of the previous year in which such money or other asset was received. It shall be value of any money or the fair market value of other assets for the date of such receipt. When on the last day of the previous year written down value of the block of assets is 0 (zero) [sec. 50(1)]. When the block of assets is empty on the last day of the previous year [sec. 50(2)]. In no other case capital gain is chargeable to tax, when a depreciable asset is transferred. This rule is equally applicable whether depreciation is allowed in the current year (or any of earlier years). Step 1 : Find out written down value of block of assets at the beginning of the previous year. Step 2 : Add: Actual cost of‡ any asset(s) falling within that block of asset acquired by the assessee during the previous year (whether put to use or not). On transfer of depreciable assets gain (or loss) is always short-term capital gain (or loss). It can never be treated as long-term capital gain (or loss). The conversion of capital asset into stock-in-trade is treated as a 'transfer' within the meaning of section 2(47). However, section 45(2) provides that although such a conversion of capital asset into stock-intrade will be a transfer of the previous year in which the asset is so converted, but the capital gain will not arise in the previous year in which the asset is converted, it will arise in the previous year in which such converted asset is sold or otherwise transferred. Indexation of cost of acquisition and improvement, if required, will be done till the previous year in which such conversion took place. Further, the fair market value of the asset, as on the date of such conversion, shall be deemed to be full value of the consideration of the asset. The sale price minus market value as on the date of conversion shall be treated as business income and taxed under the head 'Profits and gains of business and profession'. A capital asset is transferred by a partner to his partnership firm by way of his capital contribution (or otherwise). It is treated a “transfer” and capital gain will be taxable in the hands of the partner. The amount recorded in the books of account is taken as full value of consideration. This rule is also applicable when a member transfers a capital assets to his association of persons or body of individuals. X, Y and Z form a partnership firm. Soon after formation of the firm, X brings a house property as his capital contribution on August 20, 2018. On the date of transfer fair market value of the house is Rs. 20,00,000. However, the amount recorded in the books of firm is Rs. 18,00,000. The house was purchased by X in 2005-06 for Rs. 2,50,000. Find out the amount of capital gain. It is treated as transfer. Capital gain is taxable in the hands of firm. The fair market value of the asset on the date of distribution is taken as full value of consideration. This rule is also applicable when an asset is transferred by an association of persons or body of individuals. X and Y are two partners of a hardware trading firm. It is dissolved on March 10, 2019. At the time of dissolution, a plot of land owned by the firm is given to X (amount recorded in books of the firm is Rs. 45,00,000, however, fair market value is Rs. 66,00,000). This plot was purchased by the firm for Rs. 36,00,000 on March 5, 2012. 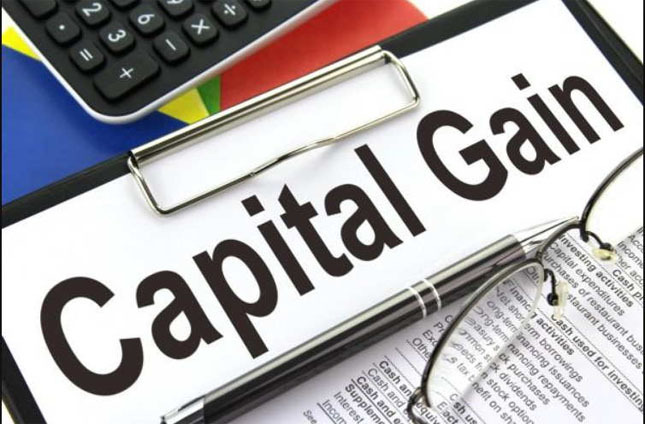 Find out the amount of capital gain. 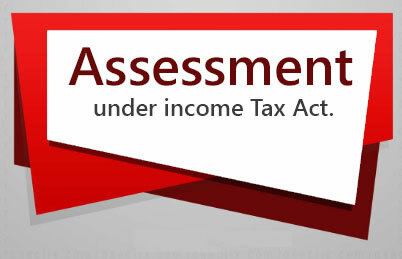 If the above conditions are satisfied, the capital gains shall be chargeable to income-tax as income of the previous year in which the certificate of completion for the whole or part of the project is issued by the competent authority. The stamp duty value of his share (i.e. share of the individual or HUF), being land or building or both, in the project on the date of issuing of said certificate of completion as increased by any monetary consideration received, if any, shall be deemed to be the full value of the consideration received or accruing as a result of the transfer of the capital asset. “stamp duty value” means the value adopted or assessed or assessable by any authority of Government for the purpose of payment of stamp duty in respect of an immovable property being land or building or both. When any debentures or part thereof of a company are converted into shares of that company, the transaction is not considered as a transfer and hence no capital gain is chargeable. However, when these shares are, thereafter, actually transferred, capital gain shall arise and be chargeable in the previous year in which the shares are transferred. If a non-resident acquires shares in, or debentures of, an Indian company by utilizing foreign currency, the gain will be calculated in the same foreign currency, which was initially utilized in acquiring shares/debentures. After calculating capital gain in foreign currency, it will be converted into Indian currency. The aforesaid rule is not optional but it is compulsory and applicable whether the asset is short-term or long-term. The benefit of indexation is not available, even if the asset is long-term. Telegraphic Transfer (TT) buying/selling rates in relation to a foreign currency is the rate of exchange adopted by the State Bank of India for purchasing or selling such currency, where such currency is made available by that bank through Telegraphic Transfer (TT). The transferor should be a non-resident at the time of transfer. Non-resident includes a foreign company who is non-resident. This proviso is not applicable to units of UTI and mutual funds. The shares and debentures (whether listed or non-listed) of Indian companies only are covered under this proviso. Indian company shall include Government company. However, bonds of Central Government/State Government and RBI are not covered for this purpose. The first proviso to section 48 is mandatory. Hence the non-resident covered by this proviso is not allowed to opt for indexation of cost (i.e. 2nd proviso to section 48). In the case of transfer of these capital assets, cost of acquisition and cost of improvement are taken as nil. 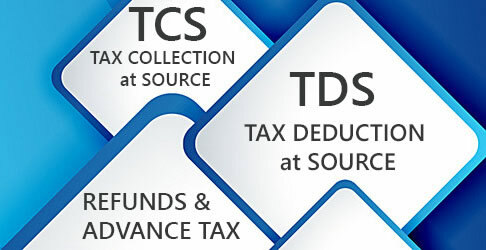 Expenses on transfer are, however, deductible on the basis of actual expenditure. In the case of transfer of these self-generated capital assets, cost of acquisition is taken as nil. Cost of improvement and expenses on transfer are, however, deductible on the basis of actual expenditure. In the case of transfer of any other self-generated capital asset, capital gain is not chargeable to tax. 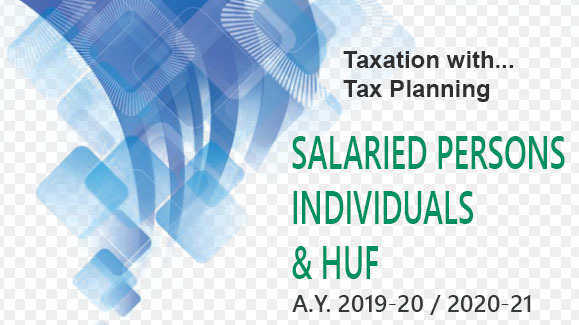 Option not available - Even if the aforesaid assets self-generated were acquired before April 1, 2001, the option of adopting the fair market value on the said date is not available. If bonus shares were allotted before April 1, 2001, cost of acquisition is the fair market value on April 1, 2001. If bonus shares are allotted after April 1, 2001, cost of acquisition is taken as zero. Amount realized by an existing shareholder by selling rights entitlement (i.e., right to acquire additional shares in the company at a pre-determined price) is taxable in the year of transfer of the right entitlement. Cost of acquisition of right entitlement is always taken as zero and the capital gain is deemed as short-term capital gain. Demat account is a safe and convenient means of holding securities just like a bank account is for funds. The idea of dematerialised account is to avoid the need to hold physical shares. The shares are virtually being bought and sold through the banking account. For computing capital gain chargeable to tax, the cost of acquisition and period of holding of any security in demat form shall be determined on the basis of First-in-First-Out (FIFO) method. Where the assets of a company are distributed to its shareholder on its liquidation, such distribution shall not be regarded as a transfer by the company. Therefore, there will be no capital gain to the company. However, where a shareholder on the liquidation of a company, receives any money or other asset from the company in lieu of the shares held by him, such a shareholder shall be chargeable to income-tax under the head 'Capital gains' in respect of the money and the asset so received. In this case, the consideration price for capital gain purposes shall be money received and/or the market value of the other assets on the date of distribution minus deemed dividend within the meaning of section 2(22)(c). As per section 55(2)(b)(iii), if the asset (other than cash) acquired by the shareholder, at the time of liquidation, is subsequently transferred by the shareholder; then for the purpose of computation of capital gain of such transfer, the cost of acquisition of such asset shall be the market value of the asset on the date of distribution. In this case, deemed dividend will not be deducted. There is a transfer of land or building or both. The asset may be long-term capital asset or short-term capital asset. It may be depreciable or non-depreciable asset. Stamp duty value adopted (or assessed or assessable) by the Stamp duty authority in respect of such transfer, is more than 105 % of sale consideration. If the above conditions are satisfied, the value adopted by the Stamp duty authority shall be taken as “full value of consideration” for the purpose of computation of capital gains. In other words, section 50C is applicable only in those cases, where stamp duty value is more than 105 % of actual consideration . then, subject to the provisions of section 48, the difference between the cost of acquisition and the value of consideration received by the shareholder or the holder of other specified securities, as the case may be, shall be deemed to be the capital gains arising to such shareholder or the holder of other specified securities, as the case may be, in the year in which such shares or other specified securities were purchased by the company. "Specified securities" includes employees stock option or other securities as may be notified by the Central Government from time to time. The period of holding of land shall be from the date of purchase of land till the date of sale of the house property. On the other hand, the period of holding of the building shall be from the date of completion of building till the date of sale of the house property. Thus, for computing capital gain, the indexation of cost, if required, will be computed separately for the land and for the building.